This looks very fun and cool (in the literal sense as well.) These castles made using ice with multiple slides and lit with colorful LED lights are part of the 29th Harbin International Ice Festival in China. In addition to the ice architecture, the festival includes many a giant ice and snow sculpture. 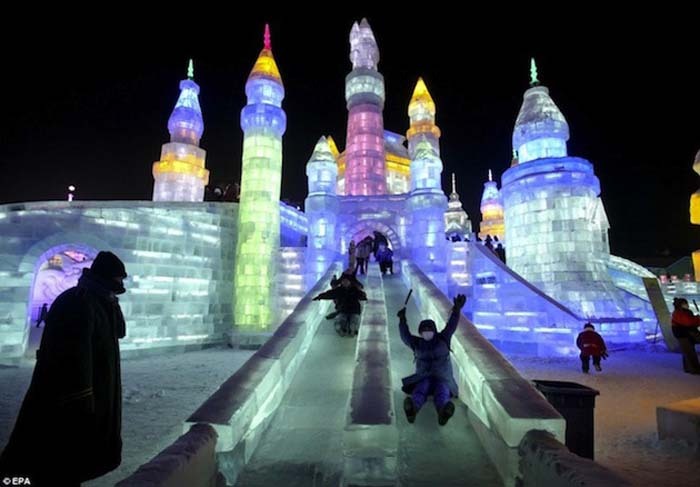 The Harbin Festival started 10 years ago and has grown to be one of the world’s biggest ice festivals with tens of thousands of people working on the displays. 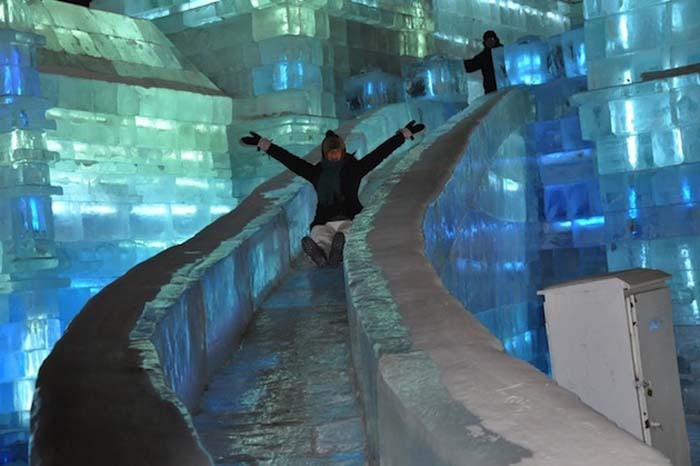 The castle and slides are especially spectacular at night with their pastel hues emanating from within the ice. The slides are not only fun, but they serve as a means of transportation to get around the grounds.